As soon as we hear California, we think palm trees, Hollywood and sun blazing down from above. Our minds probably don’t even consider wine. But California’s wine-producing title isn’t something trivial. It is a little more than that. So much more, in fact, that California is responsible for almost 90% of American wine production and its vastness is three times larger than Australia. This state’s viticulture has started since 1769, so began in the 18th century when Spanish missionaries planted the first vineyard for Mass. 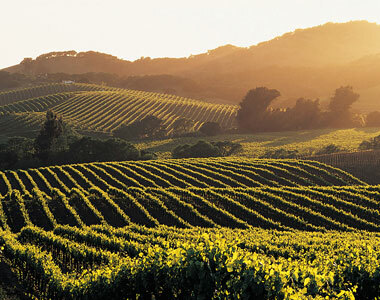 Across California, there are over 1200 wineries that produce for small boutique wineries as well as deliver worldwide. 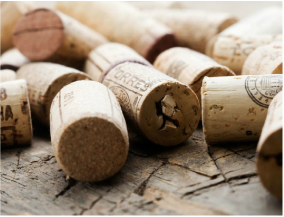 In the late 19th century, a phylloxera (an insect targeting grapevines worldwide) outbreak took place across vineyards all over the world, causing damage and destroying wineries in France and other parts of Europe. However, by 1960, California recovered from this setback and was primarily known for their sweet port-style wines made from Carignan and Thomson Seedless grapes. 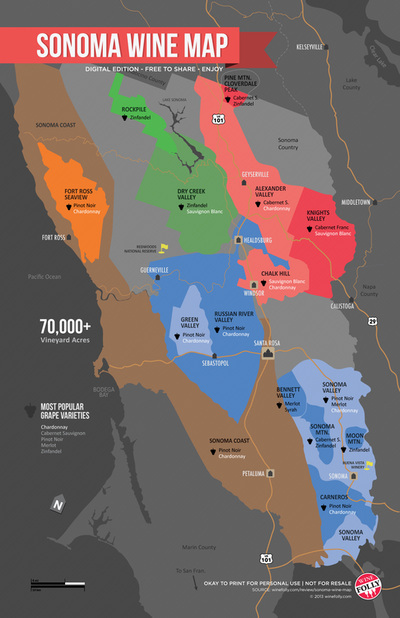 The grape types of California are as vast as its wine-producing regions; two most notable wine regions being Napa Valley and Sonoma County. 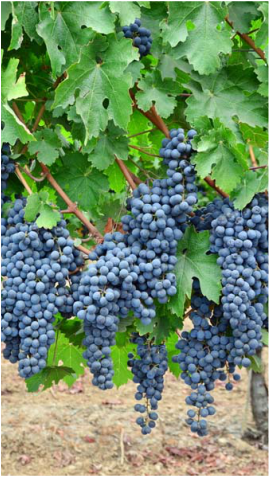 Its leading grape varieties are: Cabernet Sauvignon, Chardonnay, Merlot, Pinot Noir, Sauvignon Blanc, Syrah and Zinfandel. ​Due to the consistent warm weather, wineries are able to ripen much more, therefore bringing forward a much richer and fruitier taste, rather than the earthy, mineralic style of wine that is normally associated with Old World Wine. California is known for its great development of winemaking, so trying a bottle of American wine could surprise you. Despite winemakers preferring a more Old World wine style production, most Californian wines are produced with a sweeter and richer taste. So if the modern world of wine is your forte, you will certainly enjoy a bottle from California. There’s always more information on this fascinating state and its history in wine production, so why not give it a chance? 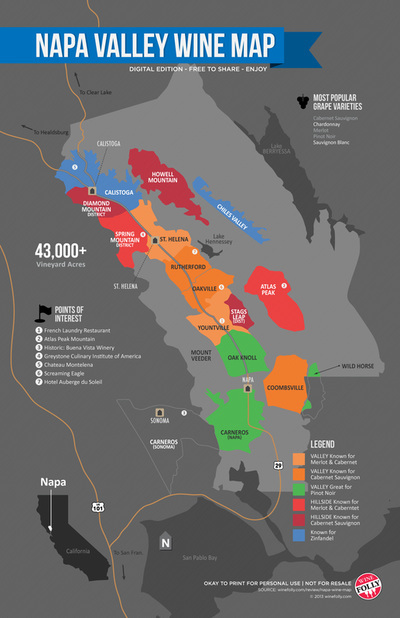 Below you can find maps of California's wine-producing regions, Napa Valley and Sonoma. 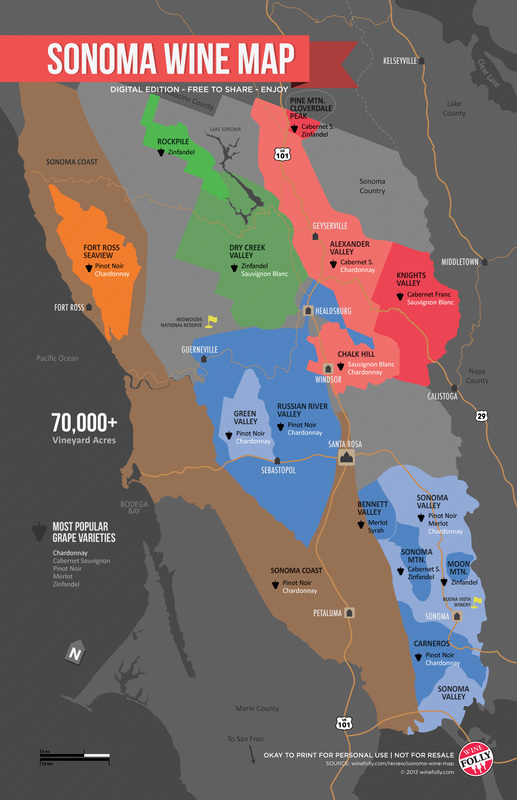 Other important Californian regions in the world of wine are: The North Coast, The Inland Valleys, The Sierra Foothills, The Central Coast and Southern California. Shafer Hillside Select Cabernet Sauvignon, Kapcsandy Family Vineyards Robertas Reserve, Saxum James Berry Red, Sine Qua Non Just for the Love of It, Screaming Eagle, Ridge Monte Bello, Chateau Montelena Estate Cabernet Sauvignon, Rhys Chardonnay Alpine Vineyard, Harlan Estate Wine and Abreu Cabernet Sauvignon Thorevilos. You can find out more about each of them here. 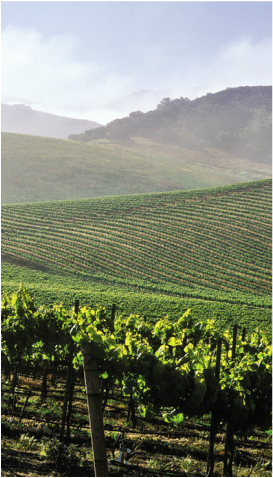 California makes about 90 percent of all American wine. The state's size and diverse climate and soils allow over 100 winegrape varieties to grow in the state, covering 526,600 vineyard acres. Winegrapes were still grown during Prohibition. 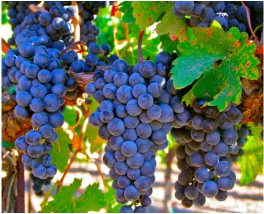 California winegrowers shipped grapes to home winemakers, who could legally make up to 200 gallons of wine for home use. Some wineries made sacramental wines as well. The church brought wine to California. Specifically, a Franciscan missionary named Father Junipero Serra started planting grapes at Mission San Diego de Alcala in 1769. California wine is earth-friendly. California vintners and growers have the most widely adopted green wine-growing and winemaking programme in the world, one that has won Governor Arnold Schwarzenegger's top environmental award.